The inspiring sound of a Stratocaster is one of the foundations of Fender. Featuring this classic sound—bell-like high end, punchy mids and robust low end, combined with crystal-clear articulation—the Player Stratocaster is packed with authentic Fender feel and style. It’s ready to serve your musical vision, it’s versatile enough to handle any style of music and it’s the perfect platform for creating your own sound. Alder body with gloss finish, Three Player Series single-coil Stratocaster pickups, Maple neck with Pau Ferro fretboard, and “Modern C"-shaped neck profile, 9.5"-radius fingerboard, 2-point tremolo bridge with bent-steel saddles. Payment Methods: We accept VISA, MasterCard, Discover, American Express, Money Order, Cashier's Check, and PayPal. PayPal is accepted from confirmed U.S. shipping addresses only. Checks must clear prior to release of your order. International orders are by Bank Wire Transfer only. Layaway Policies A 20% Non-Refundable deposit will hold any instrument for 45 days! No returns accepted on layaways. Special Orders A 50% Non-Refundable deposit is required for all special orders. There are no returns accepted on special orders. No exceptions. Shipping Policies We usually ship using FedEx. With the high quality of instruments that we offer it is recommended that you use this safe and reliable method of shipping. On special request, we will try to accommodate all special shipping requests. All shipments are fully insured. Customer pays all shipping, insurance and any bank charges, including shipping and insurance charges on any returned merchandise. All insurance claims are the responsibility of the customer. We will do all we can to assist you with filing a claim with a shipper. Returns Return arrangements must be made within 24 hours of receipt. Returns will not be accepted if we are not contacted within 24 hours of receiving item. All refunds will be less shipping costs both ways and applicable credit card fees. You may use your refund for full store credit on another "In Stock" item. No returns accepted on tubes, amplifiers, power attenuators, and speakers. No exceptions. 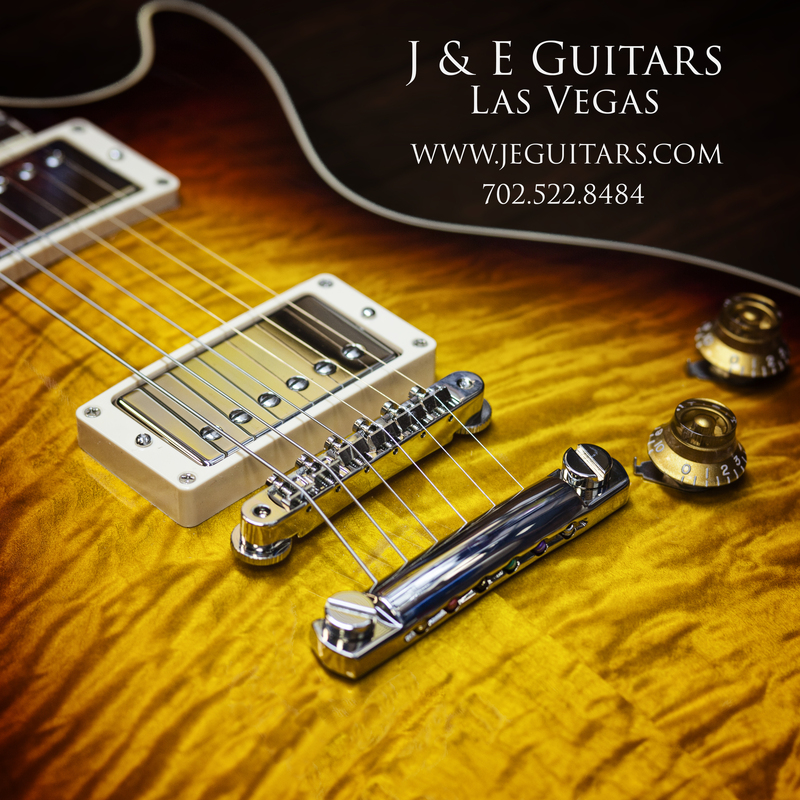 The returning item must have an RA number given to you by a J & E Guitars™ representative. Any item being returned without an RA number or verbal approval over the phone will be refused. The returning item must be shipped back in the same manner which it was received. If there is any damage to the item due to insufficient packing the return will be refused and no refund will be issued. All returns must be insured for the full amount of the purchase price. We will not accept a return if the item has been modified in any way. Returns are not accepted on any layaway items. Layaways are final sales and will be treated as such. Exchange for credit on another "In Stock" item is acceptable. No returns on any special orders. No exceptions. "In Stock" item is any item physically in the store and ready to ship.